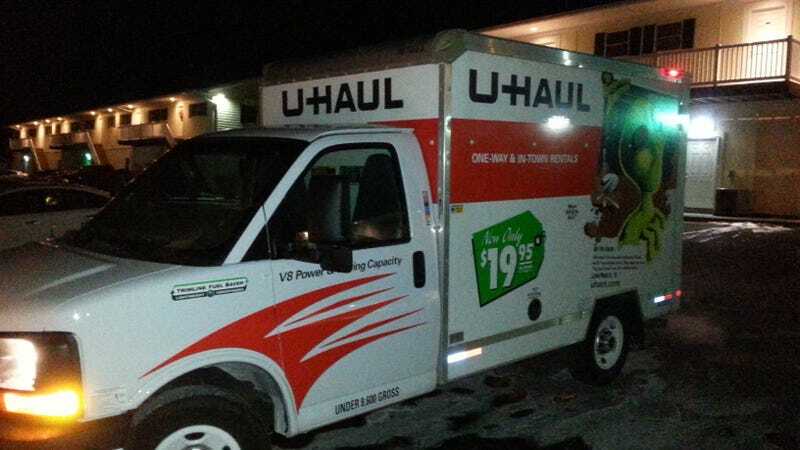 So I helped my friend move into his first apartment yesterday, and he rented the smallest uhaul truck since he doesn’t have alot of stuff yet. Overall, I liked it. v8 had some balls to it, and the brakes were good. Truck had 44k miles on it. Tons of wierd niggles though. The pedal was super touchy and spongy at the same time. Transmission had a tendency to shift abruptly into a new gear which is very disconcerting when driving an unknown, giant (for me) truck. There is this weird fuel economy gauge which is super distracting. Blind spots are massive and the non adjustable mirrors were all but useless. steering was both firm and vauge, which really sucked for maneuvering this thing. We were also driving 75 on a 70 section of highway and the truck felt like it was going to blow into another lane, I put the kibosh on that right away. Other than that... was a pretty decent ride. Got about 10mpg on a high speed section of freeway.